The election of Egyptian President Mohamed Morsi, who campaigned largely on the Muslim Brotherhood's platform, plays an important role in the formation of the new Middle East. In part this is because the ideology of the Muslim Brotherhood, which has become popular in large parts of the Arab world, was born in Egypt. Under Egyptian President Gamal Nasser, the country was the center of pan-Arab integration during the 1950s and 1960s. Today, Cairo once again has an opportunity to set an example for other Arab countries whose dominant parties resemble the Muslim Brotherhood and have strengthened their positions as a result of the Arab Spring. In this context, it is revealing that all of the players on the "great chessboard" in the Middle East are actively adapting to the new geopolitical situation. For example, Saudi Arabia is trying to invest in more radical Salafis, and the United States is establishing contacts with the Muslim Brotherhood, effectively supporting the election of Morsi. 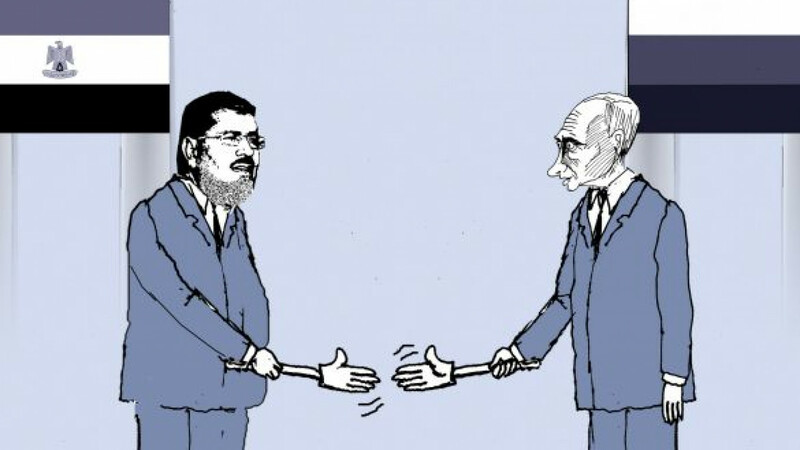 Russia is well-positioned for establishing good relations with the new Morsi regime. The Kremlin has successful experience working with Hamas, a movement that is basically the Palestinian version of the Muslim Brotherhood. I have met with many Muslim Brotherhood leaders, and none of them has negative personal attitudes toward Russia. Nonetheless, global affairs play a major role in determining the nature of Russian-Arab relations. In particular, the violent conflict in Syria is influencing the relationship between the Egyptian Muslim Brotherhood and Russia, which is seen by many in Egypt as supporting the regime of Syrian President Bashar Assad. Building a trusting relationship with the newly formed ruling elite in Egypt has already begun. For example, the United States is increasingly viewing the Muslim Brotherhood as a healthy and stable political force for Egypt, although Washington shunned the organization during the 30 years that Egyptian President Hosni Mubarak was in power. Although U.S. and other Western media had previously painted all Islamists with the same broad ideological brush, stopping just short of equating them with al-Qaida, this is now beginning to change. It seems that the Americans are finally understanding that not all bearded Muslims are alike. The Muslim Brotherhood is now classified as a moderate group, at least in comparison to radical Salafis. In contrast to aggressive radicals who have nothing to lose, Muslim Brotherhood members are largely active and successful businesspeople. Consider one of its leaders, Khairat El-Shater, who is a charismatic politician and an extremely successful international businessman. One of the reasons that millions were opposed to Mubarak was the rampant corruption in the country and the inability of businesspeople to compete against oligarchs with close ties to the government. One vivid example was Hassan Malek, a prominent businessman and Muslim Brotherhood member who was repeatedly imprisoned and stripped of his business holdings. For people such as Malek, a change in the ruling elite primarily means an opportunity to pursue new business projects and investments. At the same time, the Egyptian Business Development Association, which is headed by Malek, and the International Business & Investment Association — organizations with ties to the Muslim Brotherhood — are very interested in collaborating with Russian business partners. There are a number of reasons why it is important for Russia to develop relations with the new Arab elites. First, it presents an opportunity to strengthen Moscow's influence in the region amid the diminished economic strength of Russia following the Soviet collapse. To help promote Russia's interests in the Middle East, the Moscow-Istanbul-Rome Initiative, or MIR Initiative, held a conference in Rome in late May called "Bridging the New Middle East." The Muslim Brotherhood leadership and its political arm, the Freedom and Justice Party, participated. They stressed that Russia could best strengthen its position in the Middle East by focusing on relations with the new Egypt. Ernest Sultanov is political analyst and coordinating secretary of the Moscow-Istanbul-Rome, or MIR Initiative.